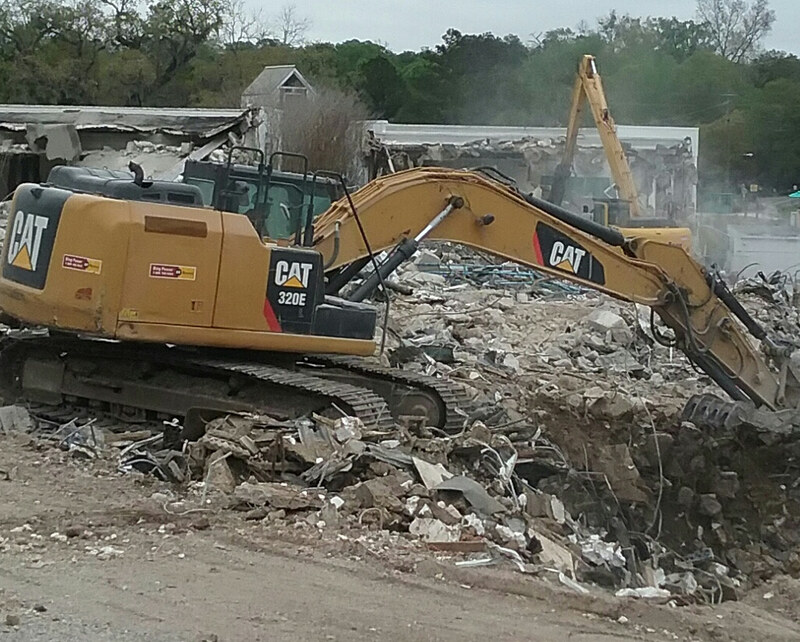 Demolition of historic buildings and age-old oak trees continued Monday at the site of a mixed-use development. A group of Tallahassee residents took one last opportunity to express their disappointment over the sudden demolition of historic buildings and oak trees that are more than a half century old to make room for a $158 million development. The development of a residential, retail and entertainment complex is led by North American Properties. It received final permits to begin ground breaking just days before the demolitions started. Gone are trees, including several patriarch oaks, along with the old Leon County jail. All of them had historic value, a group of about 15 residents told the City Commission last week. During their argument over the way the city allowed the project to move forward without preserving the history on the property, one speaker after another expressed disgust. Some shed tears, while others were in disbelief. 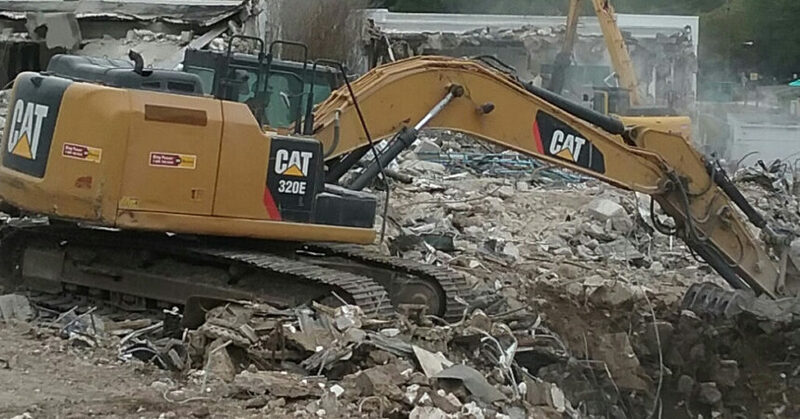 “It just bothers me the way that (demolition) happened,” Joe West told city commissioners. “It seemed to happen awfully quickly and a lot of people were caught by surprise. 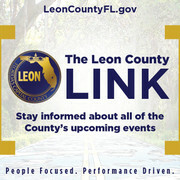 However, mayor Andrew Gillum assured the residents that their pleas hadn’t fallen on deaf ears. “That’s a fair conversation to have,” Gillum said, referring to suggestions that the city consider historical significance that could be lost when it sells land that it owns in the downtown area. In the audience was Delaitre Hollinger, founder of the National Association of African-American History and Culture. He was especially concerned about demolition of the old jail because of its significance in civil rights history. The building was the first in the country to have a prisoner sit-in, he said. It also was the place where iconic civil rights figures like C.K. Steel was jailed during the early days of the movement in Tallahassee. Hollinger also pointed to the significance of the property around the jail and removal of a tree where one of the last lynchings of Blacks took place in Tallahassee. Developer Shawn McIntyre, said he empathized with the residents who expressed their concern over history that was destroyed with the land clearing. Some of the trees will be replaced, said McIntyre. He also said that the project had reached the design phase for retaining walls and garages and construction will begin this summer, with completion of the project in 2020.